Charles Arthur Floyd, famous as Pretty Boy Floyd, was an American bank robber. Check out this biography to know about his childhood, family, personal life, crimes, death, etc. 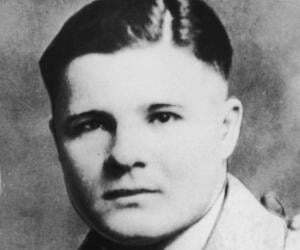 Charles Arthur Floyd, famous as Pretty Boy Floyd, was an American bank robber. Born in Georgia, he grew up in Oklahoma and turned towards crime to escape poverty. In the beginning, he was involved in highway robberies, but he later became notorious for innumerable bank robberies. He was known to make indiscriminate use of machine gun and had killed several people, including law officers. He was suspected for his involvement in the ‘Kansas City Massacre’ in which 4 law officers were killed, but he denied his involvement in the massacre. 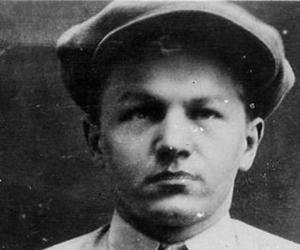 On October 22, 1934, Floyd was shot by FBI agents and local lawmen in East Liverpool, Ohio. General public viewed him in a positive light and referred to him as the ‘Robin Hood of the Cookson Hills,’ because he reportedly destroyed mortgage documents while robbing the banks. Oklahoma native, folk singer Woody Guthrie wrote a song in Floyd’s honor, which was later sung by many country and folk musicians. Several characters in books and films have been named after him, besides some music bands. Floyd was born on February 3, 1904, at Adairsville, Bartow County, Georgia. He spent his later childhood at Akin, Oklahoma, where his family relocated in 1911. They owned a farm in Sequoya County, Cookson Hills section of Oklahoma, but were extremely poor. The Depression Era, which was especially difficult for the farmers, made Floyd turn to crime and his first crime record is of a theft of $3.50 (or 350?) from local post-office. In September, 1925, he was arrested for robbing a ‘Kruger Store’ payroll delivery in St. Louis, Missouri, and was sentenced to 5 years imprisonment. He was granted parole after serving three and half years. Once out, he allegedly killed a man who was accused (but acquitted) of killing Floyd’s father. He joined the criminals of Kansas City and soon became infamous for his wild use of machine gun. Initially, he committed highway robberies, where he and his accomplices used machine guns to stop and rob passing cars. 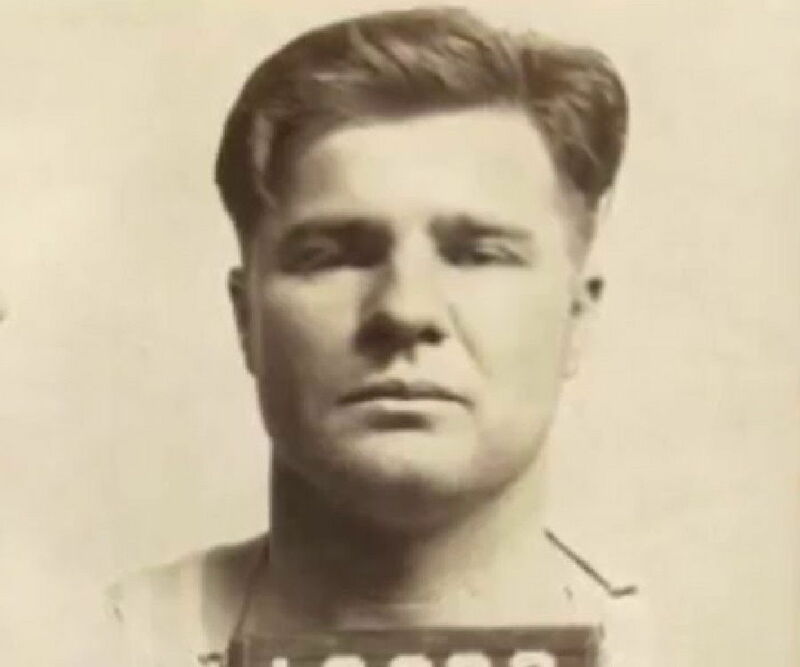 Over the next several years (1929 to 1933), he got involved in a number of violent bank robberies across the Midwest, especially in Ohio and surrounding areas of Michigan and Kentucky. Around this time he acquired the name ‘Pretty Boy.’ There are different versions of how he got this name, but he disliked it. Between 1929 and 1930, Floyd was arrested a number of times, but nothing conclusive could be proved against him. This made him a media sensation. Allegedly, Floyd often destroyed the mortgage papers during the bank robberies. So the people, who had lost their properties to banks, considered him a hero. But this could be only a myth or rumor. On March 9 and May 6, 1929, Floyd was arrested in Kansas City for vagrancy and under suspicion of highway robbery, but it could not be proved. On May 8, he was arrested in Pueblo, Colorado, for vagrancy and imprisoned for 60 days. Floyd changed his name to ‘Frank Mitchel,’ but he was apprehended on Mar 8, 1930, at Akron, Ohio, for investigations into a police officer’s murder. On November 24, 1930, Floyd was caught in the middle of the ‘Sylvania Ohio Bank’ robbery and was sentenced to 12-15 years of jail, but he managed to escape. 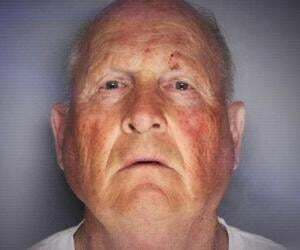 He was a suspect in deaths of several people, and many of the victims were police officers. He and his gangsters killed Ohio patrolman Costner on April 23, 1931, then he shot FBI agent Curtis Burke in Kansas City, Missouri, on July 22, 1931. In April 1932, he killed Erv Kelly, former sheriff of McIntosh County, while resisting arrest. He used to hide in places near Oklahoma, where the locals protected him from the law. Hit hard by the Depression, the locals hated banks, banks Floyd, on his part, was generous with the money robbed from the banks. After robbing banks at such places as Earlsboro, Konawa, Maud, Morris, Shamrock, and Tahlequah, on Dec 12, 1931, he robbed two more banks at Castle and Paden, Oklahoma. The Governor of Oklahoma announced a reward of $56,000 on Floyd. Floyd was allegedly involved in a gunfight, which came to known as the ‘Kansas City Massacre.’ On June 17, 1933, a criminal Frank Nash was arrested and was being escorted to a car parked at Kansas City Union Station, when gunman Vernon Miller and his gangsters opened fire in an attempt to rescue Nash. This resulted in the death of 4 law officers (Detective William Groom, Patrolman Grant Schroder, McAlester police chief Otto Reed and FBI Special Agent Ray Caffrey). Frank Nash was also killed in the crossfire. The gunmen fled when another officer fired from the station. 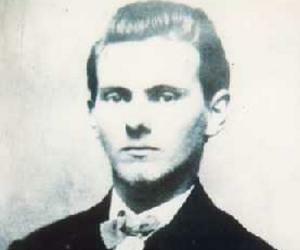 Floyd and Adam Richetti were believed to be Miller’s accomplices in this gunfight, but Floyd vehemently denied any involvement in it. There are a number of different versions regarding his presence at the massacre, but no tangible proof could be produced. Floyd was declared ‘Public Enemy No. 1’ after the death of gangster John Dillinger in July, 1934. Floyd was shot dead on October 22, 1934, in a cornfield outside East Liverpool, Ohio, by local lawmen and FBI agents led by Melvin Purvis. Many accounts are put forth regarding how he was killed. Floyd and Richetti, along with 2 female companions drove out of Buffalo, New York, on October 18, 1934. Their car broke down after skidding into a telephone pole, so the two women were sent to get a tow-truck. On receiving reports of two suspicious men outside their town, the Wellsville, Ohio, police-chief Fultz, and his officers went to investigate. Richetti ran away after spotting the lawmen, but was later arrested and then executed. Floyd fired and injured officer Fultz, then ran into the forest. He hid himself and travelled on foot for the next 3 days. FBI searched the area and spotted Floyd near East Liverpool on October 22. There are different versions to the actual shooting incident though. Retired Liverpool policeman and World War I sniper Chester Smith reported (later, in an interview to ‘TIME Magazine’), that he was the first to fire and he deliberately wounded Floyd, who then fell down after the gunshot. FBI agent Purvis approached to question Floyd, but not receiving any answers, he ordered to shoot at point blank range. But the FBI refuted these claims. Floyd’s body was kept for public display in Sallisaw, Oklahoma, and then buried in Akins, Oklahoma. It was the largest funeral in the history of Oklahoma as 20,000 to 40,000 people attended it. 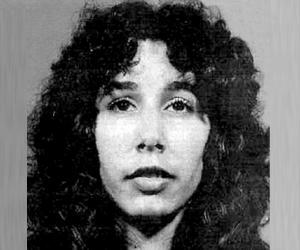 Floyd got married to Ruby Hardgraves at the age of 20. Their son, Charles Dempsey ‘Jack’ Floyd, was born when Floyd was serving his 5-year sentence. Hardgraves later divorced Floyd.